Looking to fill up your iPhone or iPad with free apps? Great deals are constantly popping up in the App Store, and here are 36 iPhone, iPad and iPod touch apps that are now free. 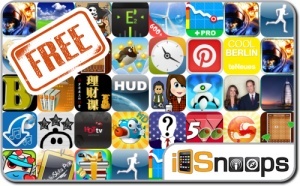 This apps gone free alert includes Blockado Jungle, Bag It!, iDaTank, Epic War TD Pro, Fishing Stars, Penguin Wings, Timegg, Tacston Tuner Master, and many others.